I have no idea why I shopped so much this weekend. Yesterday, I shopped in town and got 3 new outfits from different shops - F21, HH and TTR. Luckily upcoming week will be a camp week and I am very glad as I won’t be spending any money. Actually I kind of like this top I tried on yesterday, I decided to let it go because I don’t think I will wear it often. 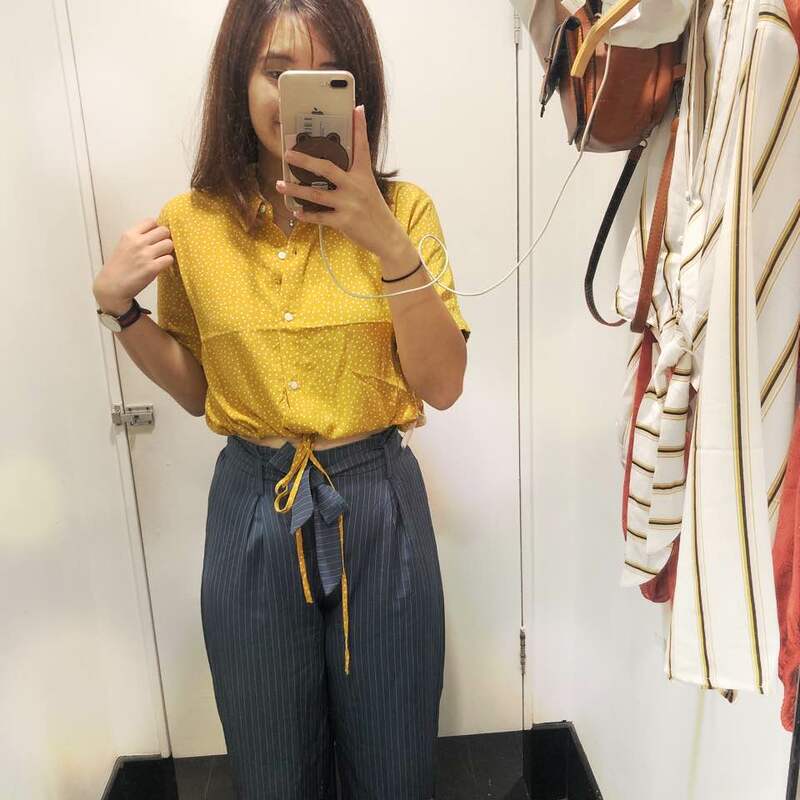 Fell in love with mustard recently and I really like how this top looks on me. Can’t believe I actually had something to buy from F21. Actually, I think F21 does really produce nice summer clothing. 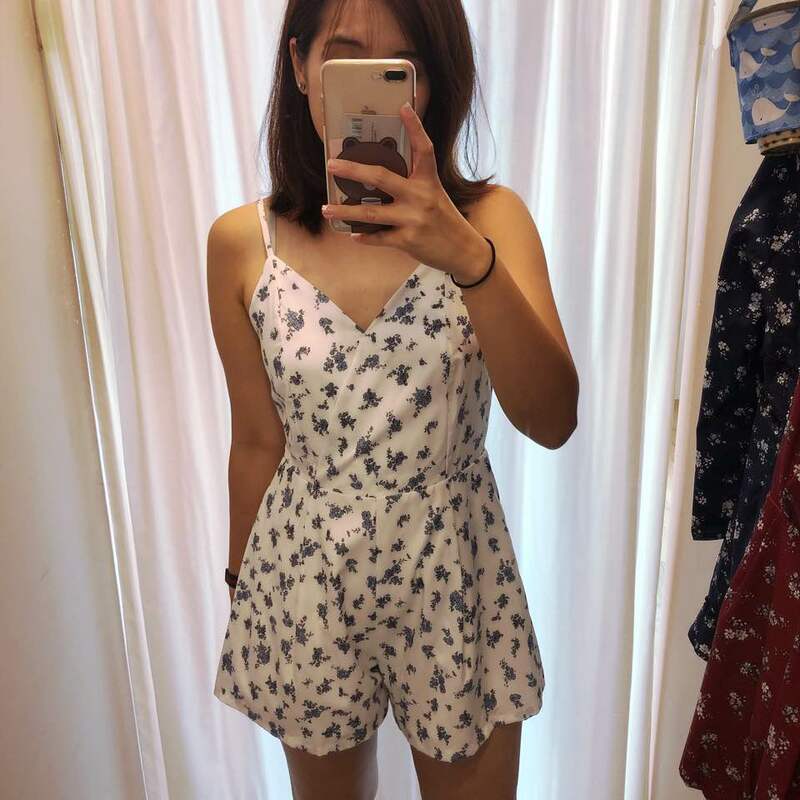 Romper from #TTR! The prints and cut scream out to me to buy it. But I will really appreciate if TTR can increase the length of their romper a little. I have to upsize so as to have a more comfortable rise and length. This dress was the reason for me to travel down to Orchard for #HH. A midi version of the babydoll dress. 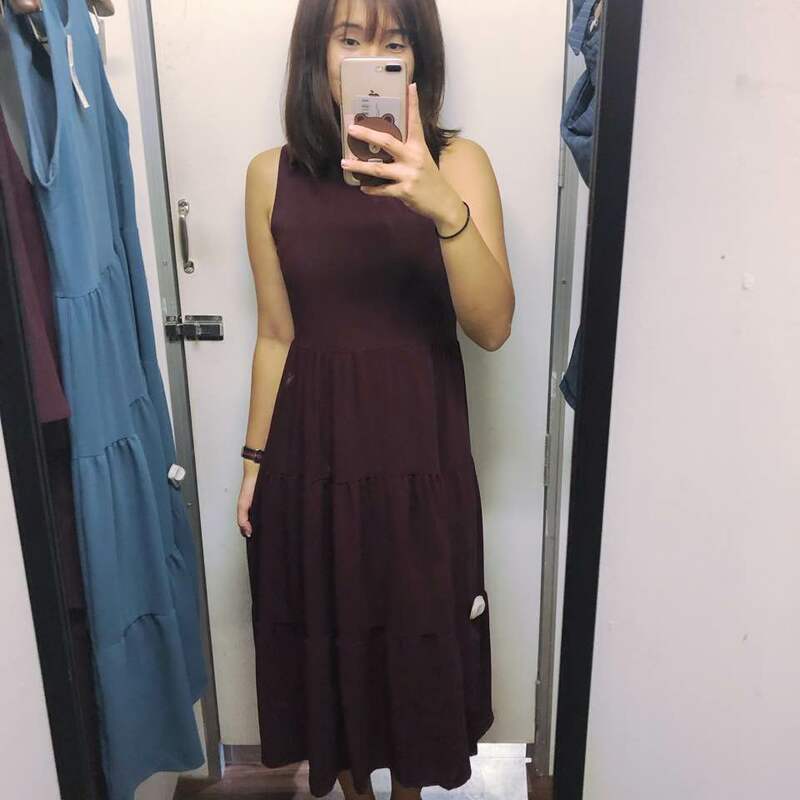 Initially I thought it will be a little overwhelming but I like it after trying on. As such, I bagged it home. 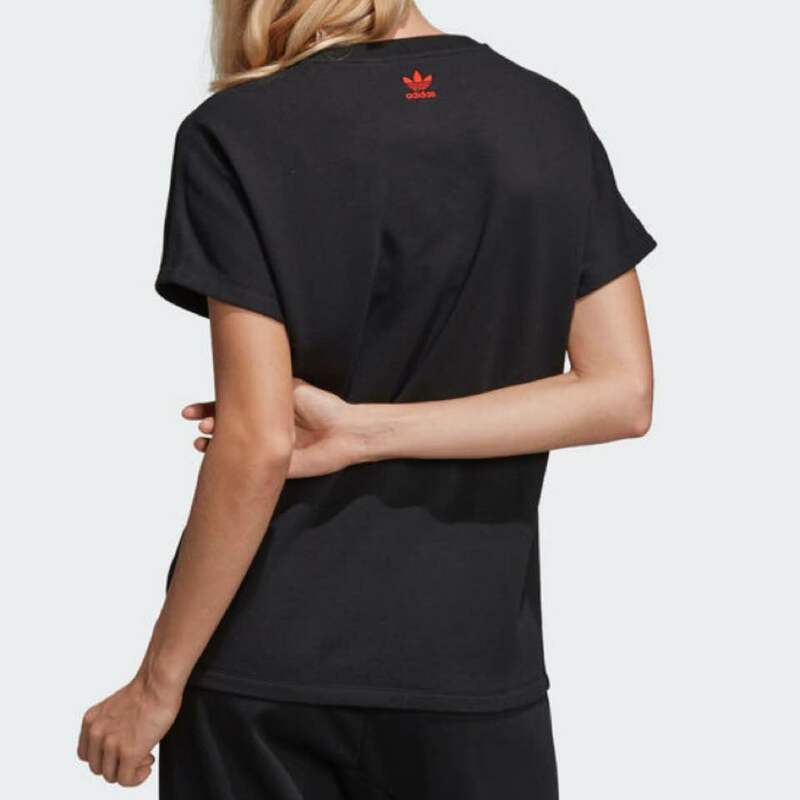 And I am so happy to get the Adidas originals v day collection t-shirt. Though I really like the Stan Smith, I think the amount of white shoes at home is really too many. As such, I decided to get the top. Red on black wow. 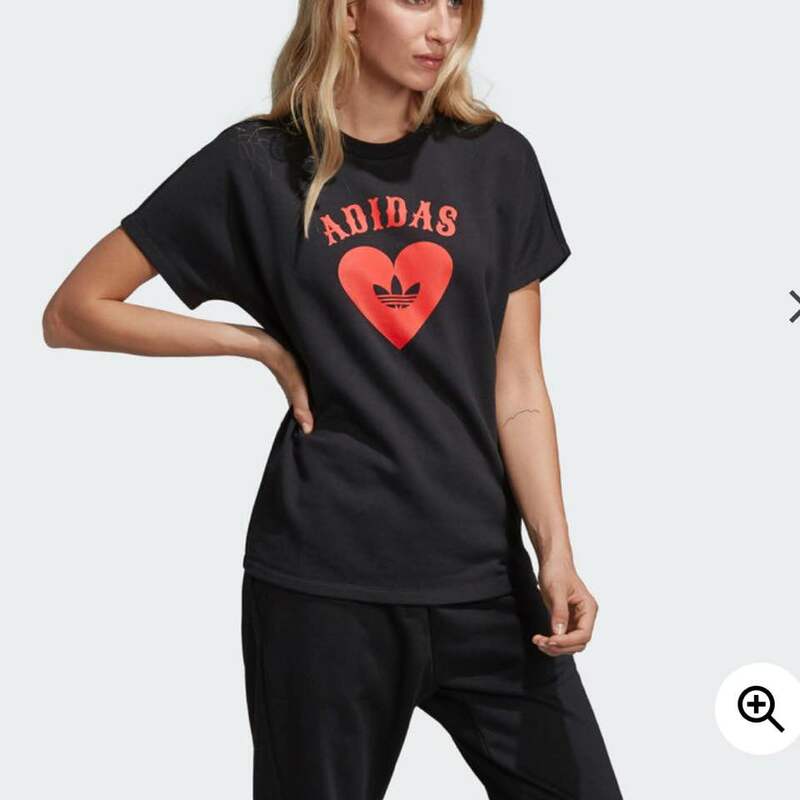 A plus point, the red Adidas originals logo print behind. (It will be a plus point if it’s embroidered) I am a sucker for anything Red. The hassle of getting this tshirt. It will be deleted from your cart every 10 minutes and verification took forever just to cart this. I took 10 minutes in order to cart one of this. I think I am really weird. And I finally found this top and it is a sales item. So it went straight to my cart. These are my three favourite combination. First fav combi: Red on Black. Second fav combi: Red/Mustard on Navy. This explains why these colours are filling up my wardrobe. 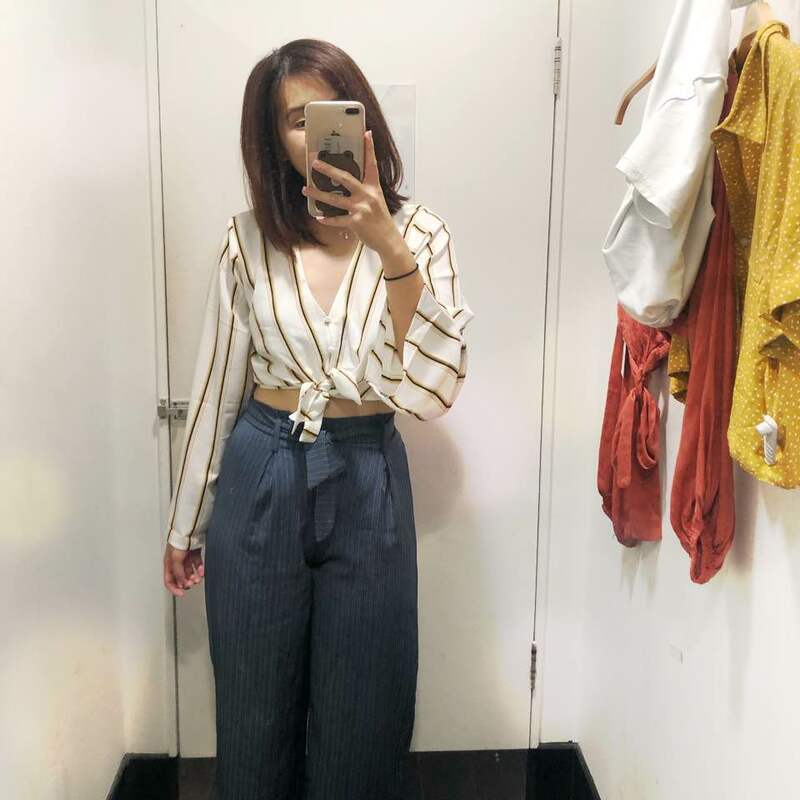 My shopping weekend deserve a post and it shall reminds me that I should not shop anymore. Shall control myself until Danang trip! Can’t wait for my next holiday in 8 days’ time!